Each year thousands of students and volunteers go into the field to experience an excavation firsthand, and the Archaeological Fieldwork Opportunities Bulletin (AFOB) helps them find a project. 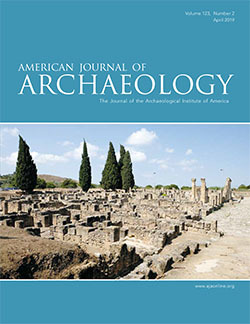 AFOB is one of the largest fieldwork resources in the world, featuring hundreds of listings for archaeological projects around the globe. The listings are continuously updated throughout the year and provide full details, including in-depth project description, project size, age requirements, academic credit availability, accommodation information, bibliographies, and more. Search the Globe for a Dig. Not everyone is able to get out into the field and put their trowel into the ground, so let us bring the excavation experience to you. ARCHAEOLOGY’s Interactive Digs allow you to follow the progress of excavations around the globe. Participating projects post fieldnotes, personal journals, photos, videos--everything you need to feel like you're part of the team. There are also live question and answer sessions with the archaeologists. Visit our Interactive Dig section and start digging in today! Every year, archaeological sites are destroyed by development, looting, vandalism, warfare, environmental changes, and irresponsible tourism. The AIA Site Preservation program safeguards the world’s archaeological heritage through direct preservation, education, and outreach, and by facilitating the spread of best practices. Each year the Waldbaum Field School Scholarships help students get into the field for the first time. For 2015, the AIA is helping to send fourteen students into the field. The 116th AIA Annual Meeting will be held in San Francisco, CA, January 6-9, 2016. The program will feature academic sessions that present the latest research from the field, workshops that discuss and present new technologies, and special events that focus on archaeology both locally and globally.